The Bluegrass Institute has an interesting list of how deep each state is into the federal funding trough. The Bluegrass Institute pulls the numbers from the most recent US Census Bureau’s Public Education Finances documents. Not a “Top 10” That NC should want to be in. North Carolina made the top ten. In fact, we are actually number ten. This is not good. In an age where everyone seems to think throwing more money at education is the solution, however history and experience have proven that’s not the case. 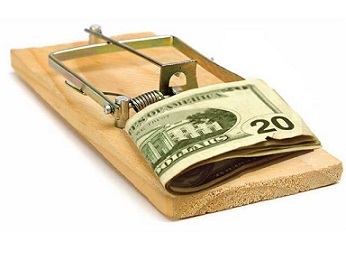 Federal money is often a trap with strings attached and states needs to pay attention. In fact, there’s an argument to be made that the more money we are on the hook for to the Fed, the more they control what the state does. Also, the cost of applying for these federal dollars by the state overall often exceeds the amount received. Here is the break out of the North Carolina numbers via the 2015 published report. Bear in mind that this report was based on 2013 information and published in 2015. Below is a look back over the last ten years via the US Census historical data. Remember that under Supt. Atkinson’s watch, NC took over half a billion dollars in Federal funds in 2010 — $499 million of which was in just one grant, Race To The Top. Race To The Top brought us Common Core. The grant was actually received in 2011, which shows the biggest federal money total over the ten-year period. Atkinson has been Superintendent since 2005; she was first elected in 2004. This entry was posted in EDUCATION, June Atkinson, NC DPI and tagged Bloat, Education spending, Federal Dollars, June Atkinson, NC DPI. Bookmark the permalink.